Annuities | Soutas Financial & Insurance Solutions, Inc. Most annuities have provisions that allow you to withdraw a percentage of the value of the contract each year up to a certain limit. However, withdrawals will reduce the contract value and the value of any protected benefits. Excess withdrawals above the restricted limit typically incur “surrender charges” within the first five to 15 years of the contract. 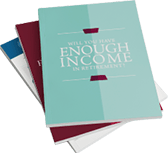 Because annuities are designed as long-term retirement income vehicles, withdrawals made before age 59 ½ are subject to a 10 percent penalty fee, and all withdrawals may be subject to income taxes. 1The National Institute on Retirement Security. “Retirement Security 2015: Roadmap for Policy Makers – Americans’ Views of the Retirement Crisis.” March 2015.